New role for the World Service, including new services for Russia and North Korea. The BBC is considering cutting further channels as part of the next stage of its efficiency drive in which more money is expected to be ploughed into producing dramas. On Monday, BBC Director General Tony Hall is due to give a speech outlining the BBC's priorities in the Corporation's response to Government proposals for the organisation. He is expected to announce that drama should be the "backbone" of BBC output, following on from the successes of the likes of Poldark, Peaky Blinders, Doctor Who and Wolf Hall, both in the UK and internationally. Last year, the BBC announced it would cut BBC Three to free up £30 million from its budget to fund BBC One drama. Now, the Sunday Telegraph is reporting that various other services are being considered for the chop, including BBC Four in order to free up more money for the BBC's drama budget. Beyond the planned budget boost for BBC drama, other proposals include releasing all episodes of a drama series in one go on the BBC iPlayer to allow Netflix-style 'binge viewing'. Earlier this year, the BBC released all episodes of Peter Kay's Car Share in one go on the iPlayer. Recently, reports have speculated that up to three BBC services could be axed in what would be the biggest shake-up of the broadcaster in its history. Job cuts and office closures are also being considered for the future. Other options for BBC Four include reducing its hours, so that it can share a broadcast slot with CBBC once BBC Three closes. Currently BBC Three timeshares bandwidth with CBBC, with the switchover just before 7pm. CBBC is due to extend to 9pm once BBC Three closes, leaving a potentially empty slot after 9pm. BBC Four has in recent years seen much of the range of its output reduced, leaving the channel heavily reliant on repeats. It recently picked up Reading Festival coverage that would have otherwise been shown on BBC Three. Any proposal to close BBC Four is expected to create an uproar among the more politically influential echelons of society than the recent BBC Three closure proposals. 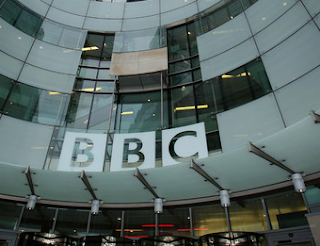 Meanwhile, the BBC News Channel has already been subject to major cuts this year, with some in the BBC keen to increase the number of simulcasts with global commercial channel BBC World News. Recently, even BBC Two was threatened with closure by the BBC Director General, in a reported threat to the Chancellor ahead of his Summer Budget. CBBC and CBeebies are safe: the BBC has confirmed there's no plans to axe either of the BBC's children's channels. The BBC has been downplaying speculation about possible cuts in recent days. Broadcast reported a BBC spokeswoman on Tuesday saying "We haven't as yet shared our proposals, and people should wait to hear what we have to say, rather than what others think we might have to say on our future." In addition to announcing a drive to more drama on the BBC on Monday, Tony Hall is expected to set out plans to enhance the role of the BBC World Service as "the UK's most important cultural export." According to numerous reports over the weekend, the BBC is in talks with the Government to secure funding for additional World Service channels covering Russia, the Middle East, Eritrea and North Korea, with the BBC keen to step up its presence in response to the recent expansion of the Kremlin-funded RT news channel and China's state TV service CCTV. And a new one-stop-shop portal for children is expected to be announced in the Director General's speech. iPlay will enable parents to select programmes for their children based on age or development rate. The government, not the licence fee payer, should be paying for any propaganda war. Really object to the BBC launching services in areas like North Korea where it's highly unlikely the locals will be permitted to receive the service.